Add efficiency, safety and security to your farming enterprise. Modern farming is a complex and difficult business that requires a great deal of technology for efficiency and success. According to Joe Hossle, a farm operator in Southwest Iowa, the enduring concept of farming as a way of life is off-base. A video surveillance system is one of the easiest and most effective ways to keep your farming operations secure. Access control solutions can help to protect storage areas, livestock and other valuable assets. Smart automation can operate and regulate lighting and temperature controls and reduce operating expenses. Conveniently and reliably monitor grain bins as well as propane, fuel, and fertilizer tanks. Easily access and control video cameras, door locks, and sensors from any internet-connected PC, tablet or smartphone. What is a Smart Farm? The Clear2there smart farm concept leverages broadband services, mobility and a broad range of measurement, monitoring and management technologies to enable remotely managed security and control over a variety of systems throughout the farming operation. 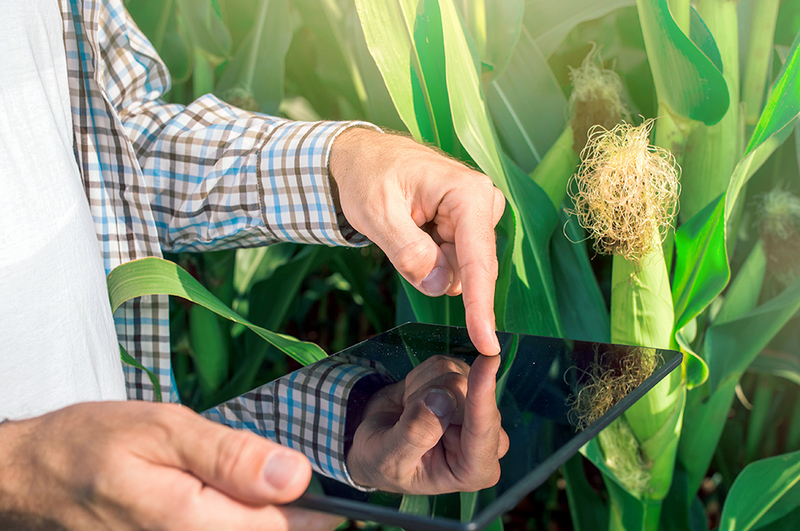 A major element of the smart farm solution is the seamless ability to monitor and control systems and situations from any mobile device connected to the internet. Every farm has different needs based on the size and type of operation, but the smart farm concepts of monitoring and management are fundamental to keeping every one of these enterprises running smoothly. The Clear2thereViewbiquity Cloud Application Suite (VCAS) enables the creation of a customized combination of surveillance, access control and monitoring solutions. The comprehensive service delivered through the VCAS solution enables users to access data and images from all of the different sensors and devices in use throughout the enterprise from any internet-connected device – including smartphones, tablets and computers. Clear2there is proud to partner with BinMaster, the leading provider of reliable, solid-state point and continuous bin level indicator and control systems. BinMaster’s SmartBob grain bin level sensors seamlessly integrate with Clear2there’s comprehensive smart-farm monitoring and control solutions using the Clear2there Viewbiquity Cloud Application Suite (VCAS) service platform. Automated grain bin monitors measure the height of grain in the bin and calculate the remaining capacity. Without this type of measurement capability, a farmer must often climb the ladder to the top of the bin and visually check on the levels of grain. Injuries sustained from falls—both from grain bin ladders or into the bins themselves—are virtually eliminated using this technology. The level of each bin is displayed graphically in the Viewbiquity application. In addition, using the rules feature, an immediate notification can be sent if bin levels change unexpectedly—such as if a theft is underway. With bins often located in unattended areas, this capability has critical value. As farming operations grow in size and complexity, more farmers are storing grain in large bins on their own property, rather than taking it to area feed mills. A grain bin monitoring system from Clear2there can track not only product levels, but also temperature and humidity. Monitoring temperature and moisture content during the drying process can help to control energy consumption by delivering notifications when target levels are achieved. This can also prevent over-drying that can reduce the value of the grain at market. Video Surveillance & Access Control: Reduce the risk of theft, vandalism, bioterrorism and other crimes with live video monitoring and real-time access notification alerts delivered via text, email and phone. Temperature: Heat stress can slow feed intake, decrease resistance to infection and, in extreme cases, kill livestock. Convenient monitoring helps to ensure building temperature stays within the optimal target range. Ventilation Fans: Moving and refreshing stagnant air in a poultry barn or building creates a healthier and more productive farming environment. Receive an immediate alert if a problem arises with ventilation fans or generators. Humidity: Lower relative humidity can result in a dusty barn and high heating costs, while higher relative humidity can lead to wet litter and high ammonia concentrations. Effective monitoring helps to ensure relative humidity levels stay within the desired threshold. Feed Bin Levels: Eliminate the need to climb to the top or pound on the side of a bin to assess the fill level. With Clear2there, current feed levels are instantly available from any location. Along with the protection and peace of mind Clear2there Smart Farm automation solutions provide, they can also deliver potential cost-saving benefits courtesy of your insurance company. In some cases, a farming operation may be eligible to receive insurance discounts for implementing qualified premises monitoring and automation systems. Check with your insurance provider to see if Clear2there solutions may qualify for special discounts under your policy. 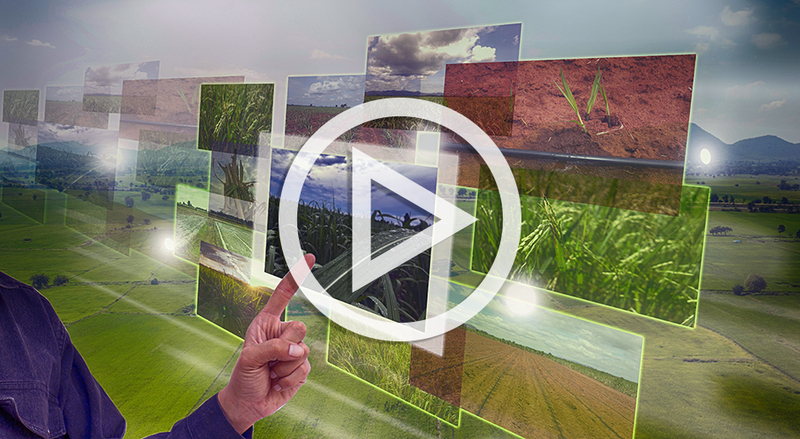 Learn how Clear2there’s complete suite of video surveillance, access control and smart automation solutions can help keep your farming operations running smoothly, safely and cost-effectively. Clear2there is an innovative, full-service provider of market-leading smart home and smart business solutions that integrates video, secure access-control, and IoT components into one integrated management platform.